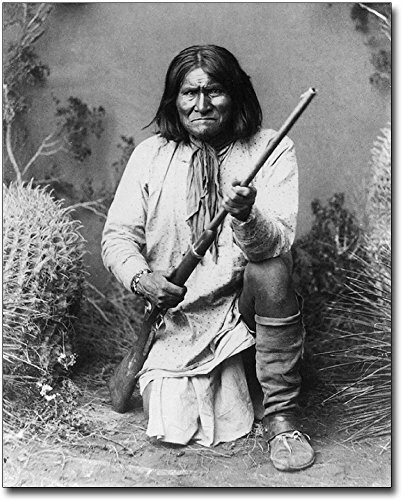 Photo of Native American Apache warrior Geronimo, portrait, facing front, posed on one knee holding rifle. PHOTOGRAPHER / CREDIT: A.F. Randall, Wilcox, A.T.